Yeah I like this knife too much to sell my user. My Maxamet Native has been my go to Native 5 LW lately. I still love my trusty black/S35VN version but I've been impressed by how Maxamet takes an edge and keeps it. Sometimes I like the grippy bi-directional texturing on the LWs and sometimes I like something that slips in and out of the pocket a little easier. The G10 knives provide the best of both worlds IMO. I don't think any of them are better all around. They just have different characteristics. Do you happen to remember how far forward you had to remove the spring? I've moved the springs in both of mine and it was about a 1/8" (3mm) maybe even less. It doesn't take much to make a significant difference. I saw Jonny Lang at House of Blues in Dallas the other night. All I can say is....Wow!!! Haha Yep! It's hard to stop sliding once you get going too. I'm just curious why? 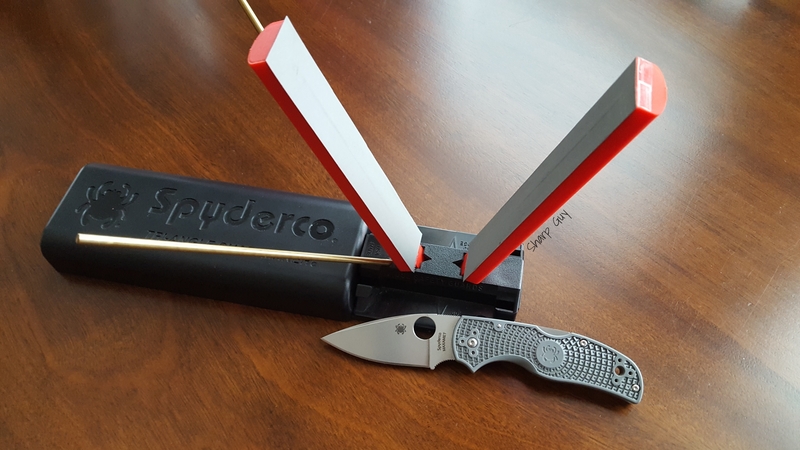 I actually like S35VN better but I think it just has to do with it being a little more exclusive in Spyderco's line up vs S30V. S30v is more than enough for me. Easy to touch up on the sharpmaker. Haven't experienced chipping. My SG spydie came in a large padded envelope. Spyderco box inside wrapped in a bubble wrap. I think mine did too. I'm pretty sure the only times I've received something in a box from MD was when I ordered knives that came with a pouch. I don't know if I'd categorize this as an improvement but it does allow for a wide variety of grits. That's 3K grit SiC sandpaper. I have up to 7K. It works pretty good but still not ideal IMO. I just ordered a couple, idk why people say it’s ended? Endura still up as well. It's not uncommon for MD to put a time limit on a drop and then start another drop immediately after. I was thinking about not keeping my SG Delica. But after carrying my V-TOKU 2 Delica the past few days I dont think I can resist trying Super Gold. This run needs super blue! I'd be in for 2 of each. Please make it happen SAL! Then it wouldn't be Super Gold it would be Super Blue. Super Blue is in the next thread over. Topic: Am i just lucky with my super steels? Re: Am i just lucky with my super steels?